I couldn’t take the Crapmobile any more in Batman: Arkham Knight and switched back to finishing the Witcher 3. 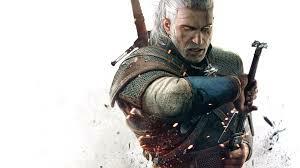 I never played the previous Witchers but they do a fine job of making it all make sense. I was super hesitant about the game but once I sat down and gave it a little time I fell in love. I have a ways to go before I finish but I am really enjoying the variety of game play and ways I can approach the story. Once I finish the Witcher I will jump back to Batman but it will be with reluctance and a fiery hate for the batmobile.